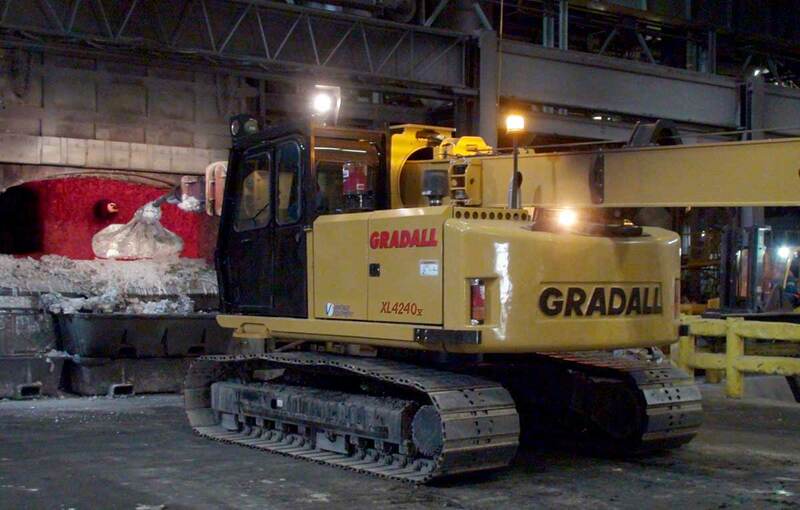 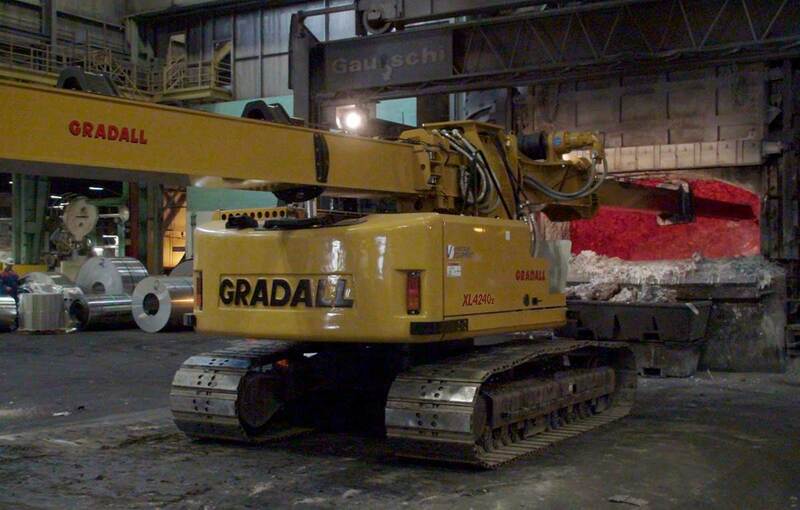 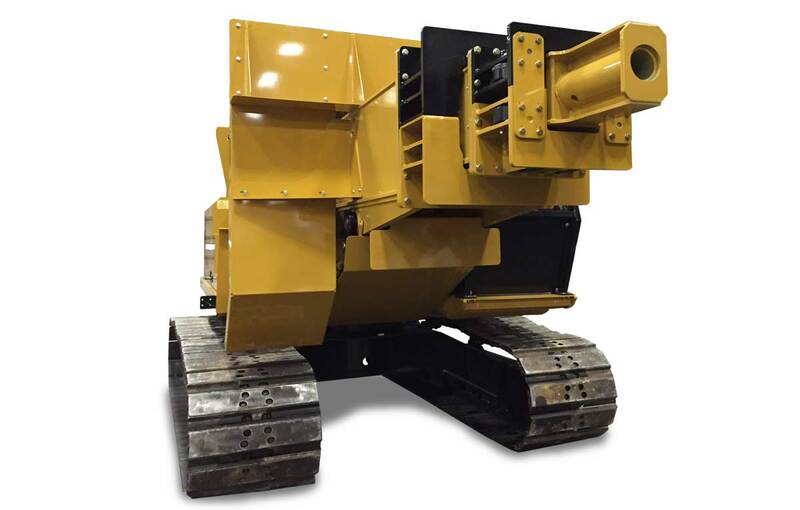 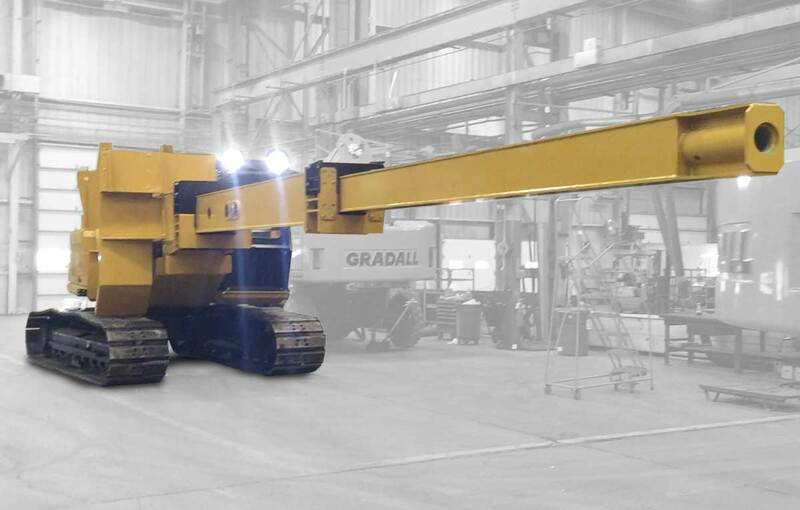 On crawler or rubber tire undercarriages, Gradall aluminum mill maintenance machines have articulating booms with unique movements to reach through the furnace mouth to skim dross and maintain furnace walls and bottoms. 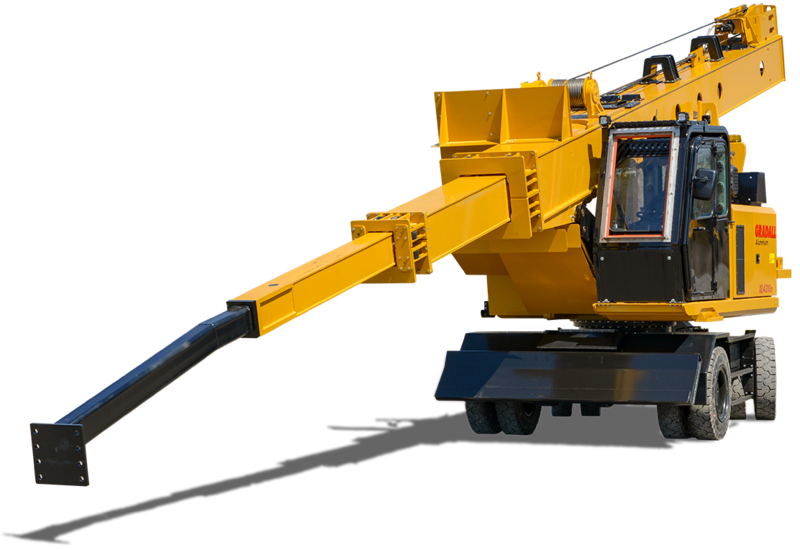 Horizontally, the boom can raise 29 inches. 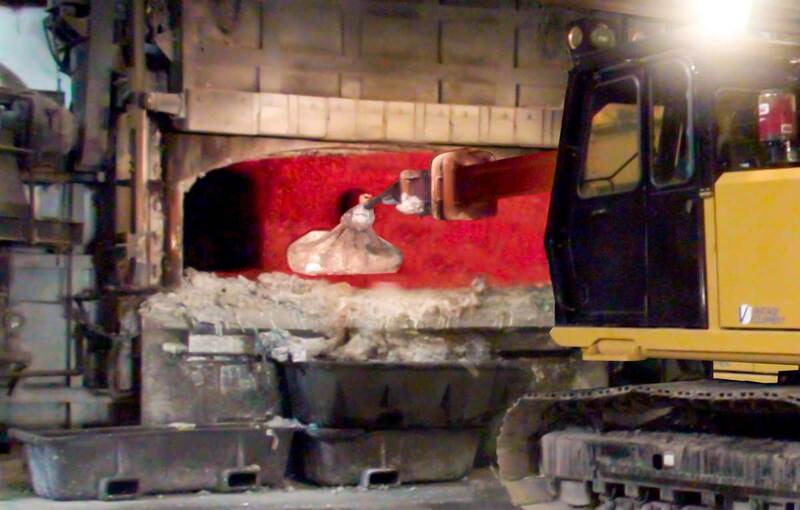 Boom will tilt 8.1° above grade and 19° below grade.